Danno Has Died: James MacArthur, 72 : The Two-Way James MacArthur, the man who was Danno to Jack Lord's Steve McGarrett on the 1970s television police drama Hawaii Five-O, died in Florida today, according to his agent. James MacArthur, the man who was Danno to Jack Lord's Steve McGarrett on the 1970s television police drama Hawaii Five-O, died in Florida today, according to his agent. Although he had a long career on stage and screen, it was MacArthur's work playing Danny "Danno" Williams on Hawaii Five-O that resonated with the public. Many of the show's episodes ended with the two detectives finally snaring their perpetrator -- and McGarrett spitting out the signature line, "Book 'em, Danno." As a young actor, MacArthur appeared in the Walt Disney movies Kidnapped, Third Man on the Mountain, Swiss Family Robinson and The Light in the Forest. He also had roles in The Interns, Spencer's Mountain, Battle of the Bulge and Hang 'Em High, as well as many guest roles on TV series such as Gunsmoke. 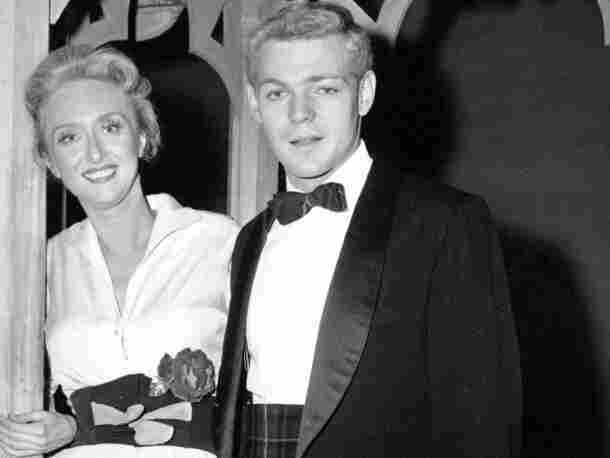 James MacArthur grew up in New York, the adopted son of stage actress Helen Hayes and playwright Charles MacArthur. He married three times -- most recently to H. B. Duntz, in 1984. He has four children and six grandchildren.